Two stories run parallel until they come together to form a beautiful modern day Christmas story. Isabella follows her husband to the US in hopes of a better life than the one they were having in Mexico. But money constraints and evil people make their journey a constant test of their faith. Miriam lost her husband in the war against drugs on the border of Mexico and the US. She now hates God and everyone of Mexican descent. Christmas Journey is a sad and realistic story. But it ends with faith, love and hope. The author did a great job of creating the characters and guiding the reader to the emotions she wanted for the story. The imagery was good and the plot, while probably predictable, was heartwarming. I received this book from a Book Club Network contest. Willa is dying to get out of the tiny town she grew up in. So when her mother announces they are leaving she is thrilled. But complications land them in another small town while they wait for a chance to leave again. Willa's mom Stella takes a job at a motel to provide them with a place to stay. But this small town has secrets. Arsonists and crazy people to name just a few. This was a very difficult book for me to review. If I was going to rate the book on writing style, graphic imagery, and plot I would give it a 5 star rating. The author has some definite talent when it comes to portraying emotions and imagery. Instead of being told it was dark outside, I sensed the darkness and it felt heavy and thick. Definitely an author to keep on the favorites list. But if I was going to rate the book on personal taste I would give this book a 2 or 3 stars. The story was dark and at times could tilt towards depressing. I hated the mother (if you could even call her that) and felt some serious frustration. It was very well written, but the story just was not my style. I've read this book and I'm excited that I can share it with my readers. Please leave a comment on this post or the review post and I will randomly pick a winner on Friday, January 25th. John and Sarah visit the zoo with their parents and learn all about the differences in the animals. God designed each one to fit into it's special environment and thrive. He designed us extra special as well. I read this to my six and four year old children. My four year old seemed a bit antsy, but said that she really liked the story. My six year old said it was awesome and asked me to read it again. I have an older Kindle so all of the pictures were black and white. But this didn't seem to bother the kids at all. I liked the message of the story, but most of all, I liked how the kids took the message to heart and talked about it. Molly feels responsible for her brother's spinal injury and will do anything to keep him safe and provided for. She accepts a position as an heiress to a cattle ranch in hopes that it provides some security in their lives and gives them the home they've always wanted. I've read the previous book in this series (see review) and enjoyed the premise so much that I thought I'd try this one as well. It didn't disappoint. The characters are still fun and enjoyable. The plot is a great one and leads to some hilarious situations. My favorite character was the doctor and the stories of his practice. I wouldn't mind a spin off with the doctor and his wife after their marriage. I am definitely looking forward to the next book in the series. Cate is known for her sharp tongue and prickly personality. Her sister Betsy is all sugar and spice. Cate has no intention of getting married, but Betsy has quite a few men she is interested in. Imagine their surprise and horror when their father announces that Cate must marry before Betsy can. The chaos that ensues is a mess, but God can straighten even the worst mistakes out into something beautiful. As I've mentioned before, I'm not a huge fan of Amish fiction. But this was a really fun book. The couples featured in the book were fun and their characters were realistic. There were several annoying people, but they didn't over power the story. The emphasis on God and our relationship to Him was well done. Sarah, the author, spends two years as a Peace Corps volunteer trying to educate the people of Nambonkaha on health and medicine. This book is the story of her time spent there and the lives of the friends she made during her stay. The story was well written and the characters were fun. The book definitely doesn't read as fiction. It's a true account of the life in this African village. This might be why I had such a hard time getting into this book. If it had been told more in story form or had a beginning and end I might not have gotten bogged down. As it was, it was over 300 pages of things the author notices about the village and it's inhabitants. My guess is this would be an amazing book for those who enjoy true stories and history. I just couldn't get into it myself. Two months after their wedding Kim and Krickett are in a horrible car accident. Both survive, but Krickett can't remember her husband at all. Her memory is completely erased for the entire time they knew each other. So Kim begins the daunting task of not only helping Krickett heal, but also helping her fall in love with him again. The authors decided to write the book themselves so that they could ensure that all of the details were correct. I have not watched the movie yet so was able to read the book without any other pictures or scenes in mind. It was very simple and straightforward writing, but it definitely got across the story and message they intended. I enjoyed it and look forward to watching the movie. One night about eight months ago a tragedy sent Olivia into Troy's arms. Now she is pregnant and determined to raise her little one on her own. She has a great job as a midwife and doesn't need a man complicating things. But when her life is threatened she agrees to let him guard her. What can be safer than having a marine close by. I liked the suspense in the book. The author did a great job of creating tension and drama. I figured out who the main antagonist was almost right away, but not the motive. It was a fun little read. I received this book free of charge from Harlequin in exchange for my honest review. A memoir about the early life of the author that takes the reader through childhood into early adulthood. The author gives an account of the struggles in school and the struggles with completing school and making something of herself. Despite the title I felt this book was just another account of a person finding themselves. The author didn't seem to go into a lot of details or expound on anything enough to keep me interested. It was a bit dry and seemed to be more like a list of events and feelings than a story. I'm not sure if I'm just more into thrilling fiction or this will be truly uninteresting to everyone. If you enjoy memoirs than this might be worth your time. But it definitely wasn't something I'd want to try again. Piper is excited to head to the balmy beaches of Florida to attend her cousins wedding. But when the deaths and accidents start adding up she enlists her boyfriend's help. He is in the FBI and she hopes that he can provide some answers before her cousins wedding is ruined. I'm pretty picky about my mysteries and I really enjoyed this one. It wasn't incredibly suspenseful and not a bit gory. This is apparently the third book in the series, but I never felt confused or left out. There were enough clues that the murderer could have been any number of people. While I did have a pretty good idea, I wasn't certain until the very end. I really enjoyed this book and will be checking out the previous books in the series as well as other books by this author. Every penny counts in this economy. So saving on realtors fees can often save you thousands and thousands of dollars. Sissy Lappin is a top producing realtor in Texas. She has continued to hold this title even when the economy and real estate market went south. She shares her secrets on how to sell your own home in this easy to read and understand book. The steps are simple and clear. I expected to become a bit bored with the technical aspects, but was pleasantly surprised. The author also has a website that provides lists and forms that might be useful in selling your own home. If you are getting ready to sell your home I highly recommend reading this book first. It won't take very long and would be well worth the money. Lady Diana has caused her family enough stress and embarrassment. So her mother finds her a husband. Also in town the Duke of Sheffield has agreed to a loveless marriage to save his own embarrassment. But as they are meeting their intended they happen to meet each other as well. If only their families had chosen more wisely. I had not read the previous two books about the Wylder sisters. But this didn't seem to detract from the book. There was very little conflict and it was probably very unrealistic in parts. But the story was fun and the characters entertaining. If you enjoy a good fluffy romantic story than you'll enjoy this book. No amazing plot or thickening suspense, just funny romance. Abigail has a rough life. A mother who dies early and a father who hates her are just the beginning. The story begins right before Abigail is born, but soon jumps to 70 years later when Abigail befriends her neighbor. There were several pros and cons. Ending left you wanting more. Author had a great way of making you feel what you were supposed to feel for each character. Book clubs will love this book. Did NOT like the cover. Detracted from the book, I think. Story had a slow start for me. I disliked/hated a couple of things and people so badly that it put me off the story a bit. All in all it's very well written and engaging story that probably just wasn't my thing. If I rated it on writing style I would give it a 4. But since the rating is for how I like the book I'm giving it a 3. Seven women tell their Christmas stories as they learn about having the Christmas spirit and sharing that magic with their friends and family. Each story is short, but heartwarming. If you want to cry and laugh and feel the spirit of Christmas, this is the perfect novel to read. It is a tiny little book. But so much is packed into those little stories. The story at the end will tie everything together. The author is said to be award winning with her non-fiction, but this is her first work of fiction. Based on this novel I would definitely read more of her fiction. Loved this book. I received this book from Random House & Albee Agency free of charge in exchange for my honest review. Dora, a divorced postal worker, shares her story about a book club started by the misfits in her community. They read books, but it's way more than just a book club. They become friends and stand together to fight the injustice of a southern town in the 60s. I loved this book. It was funny, cheesy, and at times over the top. But for some reason it seemed to work. The characters were believable, for the most part. The story could have happened in any small southern town in the 60s. And yet there was just a tad more to make it completely improbable. Normally I don't go for this type of story, but author has a great talent for pulling you into the story and holding you captive. So while not my normal style, it was fun. I will definitely read more by this author. Three stories set in a close-knit Amish community. All three stories center around love and the heart of the home, the kitchen. Story 1 - Fern heals with herbs, but doesn't have a remedy for the love she longs to share with a husband. But when a handsome man knocks on her door needing help she isn't quite sure what to do. Story 2 - Hannah runs a bed and breakfast for her parents. A lifelong crush has recently shown an interest in her, but a tenant holds more appeal. Will she be able to choose wisely? Story 3 - Eve's home is being repaired after a storm. Moving back in with her parents after years of marriage isn't exactly a picnic. But copying down her mother's recipes brings them closer than she had ever experienced. All three stories were sweet and heartwarming. They all tie together in a very small way, but all three can stand alone. Several reviews mentioned predictable plots. Yes, like most novellas, the plot was easy to predict. But the stories were short and were nice to read in one sitting. There wasn't a lot of drama or conflict, just a small amount that goes into any typical novella. At the end of the book there are discussion questions for each story, natural herbal remedies, and 45 Amish recipes from the stories. Lily, an orphan, is traveling through all of the logging towns looking for her sister Daisy. She fears that Daisy is working in unsavory conditions. Lily longs to rescue Daisy and provide a home for her now that they are grown. When she arrives in Harrison she meets a man that will test her patience and maybe her love. The next few months may test everything they both hold dear. A very slow start led to a good book in the end. I was probably half way through the book before I became engaged and cared about the characters. The last half of the book I sped through and enjoyed. The story brought to life some things about logging camps that I hadn't thought about before. The conflicts between family, work, and faith were interesting and thought provoking. I enjoyed the second half of this book, so would advise you to keep reading if you feel bogged down in the beginning. Officer Ashley Walters is running from tragedy. She finds a job in small town Montezuma and hopes to hide there to lick her wounds. But Emma and Patrick become her friends. Before she knows it she has two men vying for her attention, someone targeting her friends and a town revitalization that's getting out of control. I had a like/dislike relationship with this book. I didn't hate it and I didn't love it. But there were things I liked and disliked. The book seemed to move very slowly and things weren't very clear at times. This is book one in the series, but I felt a bit lost when certain characters were introduced, like perhaps, I should have already known something about their background. On a positive note, I liked the main character Ashley and felt the book had a strong message of forgiveness and healing. My final conclusion - It's an interesting book, but not thrilling or gripping. I received this book free of charge via a contest on The Bookclub Network. Since I've been slacking with my blog posting I thought I'd compensate a bit by letting you know of a contest on another blogger's site. 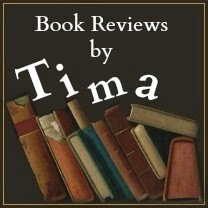 She's giving away an ebook to one lucky winner who comments on her blog. Seth came to Harland, NC to help his aunt renovate her apartments. As an ex-soldier, he was also hoping the small town would help him heal. Lisa works at his aunts' diner in hopes that she'll soon have enough money to leave Harland. The Christmas spirit and God's amazing grace help bring this romantic story together. The main characters were interesting and relate able. The subject of PTSD was handled well and tastefully. I really enjoyed this story. I found it fun and refreshing after some of the heavy books I've been reading lately. It's a romantic Christmas story with the love of God woven throughout. Keddy and his girlfriend leave Austraila for South America. Told in a poetic type of first person it recounts his thoughts and experiences as he tries to better his life. I've had this book for quite some time trying to make it through so I could write a review. It just isn't my style. When I saw all of the 5 star reviews I tried even harder, to no avail. The style of writing is a bit on the poetry side (something I really don't like) and tends to be almost like hearing Keddy's thoughts. It's definitely a thought provoking book if you care for this style of writing. Also note that this might not be the book for you if you don't like swearing. There seems to be quite a bit of that peppered through the book. Not a book I would want to read again, but don't let that stop you if you like poetry styled writing. Laural is sixteen when she witnesses a crime at her home that changes her life forever. It's a secret that she has kept until now. But now in her 60s and watching her mother slowly slipping away, she feels the burning need to fit all of the pieces of the puzzle together. Alternating between now and 50 years ago the story of the secret is told and everything Laural thought she knew about her mother is changed. I had previously read The House at Riverton and enjoyed it. So I was excited to get this book for review. The secret is revealed in the very beginning of the book, or so I thought. Because the story keeps jumping back and forth between the now and then it can become a bit bogged down in the middle. But keep reading. The story not only picks up, but you'll find out even more secrets until the very last secret is revealed at the end. The storyline is intriguing, but the history that is intermingled with the story is engaging and captivating as well. Definitely a book worth reading. I received this book free of charge from Newman Communications in exchange for my honest review. Anne is a wedding planner known around the world after an article in Southern Living. She would love to get married herself, but can't seem to find the right man until George walks into her shop - as a prospective groom. It's going to take all she has to plan a wedding for the guy who appears to be the man of her dreams. The writing style in this book was fun and made for an easy read. The family dynamics were heart warming and appealing. My only complaint would be the amount of conflict between the couple. The entire book was filled with miscommunication and hurt feelings. I've never "met" anyone who misunderstood things so easily as these two people did. It didn't ruin the book, but was at times frustrating. Despite this, I would be willing to try another book by this author because I did enjoy her writing style. Do you want to get inside the head of a woman? Do you enjoy good stories about women just like you? This book is a definite answer to those questions. Women from all ages and walks of life dish in sixty four different stories about what being a woman is all about. Think Chicken Soup women style. I enjoyed these stories. The cover might not be appealing to some, but don't let that stop you. The stories are clean, funny, and uplifting. Stories about menopause, mammograms, and growing up a tomboy are all mixed together to bring an eclectic mix of fun for any woman. I look forward to reading more Not Your Mother's Books as they come out. Tarsie and her friends head for Drayton Valley in Kansas. But tragedy along the way means that Tarsie must trust God in ways she never thought possible. Her friend has asked the impossible. But with God all things are possible. I really enjoyed this story. I read it in one evening. It was entertaining, romantic, and educational. The bits of history that were through out the book added a nice element to the story. Without giving too much away, I really enjoyed the plot in the story. My only complaint would have to have been Tarsie. She was a bit annoying at times and her thinking seemed skewed. My favorite character was Joss's boss. He really added a special element to the story. I received this book free of charge from Bethany House in exchange for my honest reply. Sophie returns to Hickory Ridge to resurrect the old newspaper. But her previous stay in Hickory Ridge was spent in the local orphanage. Unsure of her parentage and her reception from the citizens is cause for stress in this historical novel. I somehow completely missed that this book was part of a trilogy until I was almost finished reading. Earlier this year I read the second book and didn't care for it. So I'm thankful that I didn't remember that or might have gone into this book with a bit of a bias. Other than some confusion at times with feeling like I was missing pieces of the story, I enjoyed this book. The characters were fun and this book seemed to wrap everyone's stories up well. The history that was brought into the story helped too. Since I didn't read the first book and it has been almost a year since reading the second I might have missed a few things, but as a stand alone book I still enjoyed it. Carina sneaks into the woods with the magic book to try to secure a man for herself. She has promised not to use the spell, but no one will know. The only problem is - she doesn't list the qualities she wants. She lists the name of the only man who interests her. I enjoyed this book. I still think the second book is my favorite, but I liked this one. This one also seemed more funny than the last two. The character's struggle for independence was entertaining and the story flowed well. It will definitely make more sense to read the previous books first, but this book can stand alone. Can't wait to read more by this author. I received this book free of charge from BWR in exchange for my honest review. Everyone has dreams for their future. Some have even put goals and wishes down on paper. Life Maps was created to help solidify and plot exactly what you want for your future and how to achieve those goals. The maps include past, present, and future. What an intriguing concept. I'm a huge list and goal maker and was completely unaware that a book like this existed. So I was certainly in my element filling out the questionnaires and charts. But even less goal oriented people will be able to make use of this book. Its simple instructions and fun questions make it easy to use. Definitely a book to share. I received this book from BlogHer and was compensated for my review. Madeleine's husband, Aidan, is a mountain climber. On his last trip out she feels a premonition and warns him not to go. Despite her begging he goes with the promise to return no matter what. But when she receives a call from their best friend she knows that her fears are confirmed. Without giving too much of the book away, I'm not huge on the whole ghosts, life after death kind of story. So I was a little leery of reading this book. But I was pleasantly surprised. This is an amazing book for being a debut novel. The writing flowed well. The characters were likable, even when not so perfect. And the story was told in a captivating and enthralling manner. So even though the plot wasn't my normal type of genre, I'll definitely be checking this author out again. Annie is running from the danger surrounding her company. By chance she lands in an Amish barn for the night. That chance encounter will change her life forever. Finding family history and perhaps a chance at love are just a few of the things that happen because of her ride into Amish country. The characters were fun and the story was engaging. The book alternated between the current story and giving a little back story on the ancestors of the main characters. It lent an interesting twist to the story and provided information on some of the reasons the characters chose their path in life. I enjoyed the story, but it wasn't one of my favorites. It intrigued me enough to look at the 2nd book when it comes out, but it certainly isn't gripping and high suspense. It also left quite a few questions unanswered. Willow is a young widow who decides to settle in Cripple Creek near her brother. She wants to become an artist and finds the perfect job coloring photographs. But her first meeting with her employer, Trenton, doesn't go as planned and the sparks fly between them. This was book four in the series and was filled with references to the previous books and their characters. Since I'd read two of the previous three (reviews here and here) I didn't feel as lost, but I don't think this book would be good as a stand alone read. Of the three that I've read, I have to say I enjoyed this one the most. It was sweet and cute. There was the usual misunderstandings that a typical romance story has, but it was easily resolved and the story seemed to flow well. I also liked the secondary story of Miss Hattie that was in the previous books and seems to conclude in this book. All in all, it was a cute, feel good story. Marshall Becker "Beck" is an architect with issues. He arrives in France to restore a castle that was used by the Nazi during the war. But he isn't the only one chasing dreams and demons. Someone is destroying the castle at night and he needs to find out who or he will never meet his deadlines. World War II books, especially those dealing with the cruelty of the Nazi, are often dark and difficult to read. Tangled Ashes was told in two parts. One part told the history of the castle and the other was the modern tale. Telling the story this way seemed to lighten up the book. And I'll be honest I enjoyed the WWII part the most. The characters were more likeable and believable. The main characters in the modern story were Beck and Jade. I thought the author was going for a romance story, but if she was it failed. The ending seemed to explain the puzzles, but didn't conclude. It left the modern day characters with hope for a better future, but based on their parts in the book they probably weren't going to get better. I really enjoyed this book, but I'm not sure I would read a second book based just on the modern characters. I read the book in one evening, so it was fast and enjoyable. But while I enjoyed it, I don't think I loved it. 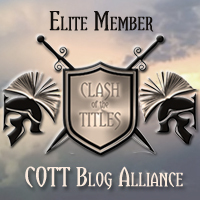 Just a notice to let you know that I'll be hosting several blog give-aways here in the very near future. My pile of books is starting to get crazy big and my husband might be complaining. =) So I decided to let my fellow readers benefit and give them away in contests and give-aways. Let your friends know by sharing or tweeting each contest! Emma has just lost her husband. Newly married and pregnant, she now finds her self destitute and back living with her family. But rescue comes in the form of Lord Robert, a new widower himself, who hires her to be a wet nurse for his son. This story was not what I was expecting. For one thing it was incredibly short. It also lacked depth. This might be, in part, due to the lack of length in the story. I enjoyed the story, but it felt hurried. There was so much that could have been done with this plot and instead it was rushed and cheapened. The ending especially felt very rushed and poorly done. Jackie is on the run in yet another country. She works for the CIA and often this means her life is in danger. Her boss sent her to Cuba to see if a new upstart, Fidel Castro, is going to be a detriment to the USA. But once there she is involved in solving a treasure map and rescuing a new friend. The cast of famous characters is endless. The plot is twisted and exciting. The premise for this book was not something I'd imagined, but it was easy to believe. It was a lot of fun to follow the author as she wove the story through history and explained some of what happened before Kennedy took office. A delightful story that will amuse and entertain even those who aren't into history. I received this book from Hachette Book Group in exchange for my honest review. Are you sick of dieting? Have you tried everything and nothing is working? Dr. Spencer tackles the age old dieting questions with a simple and yet amazingly effective way to naturally loose weight. In my opinion, diet books are tedious, boring, and too full of useless information. But thankfully this book doesn't follow the norm. The instructions are easy to follow and simplistic and yet very effective. All of the information is given in ten easy to read chapters. Following the chapters are recipes and worksheets that will help implement this lifestyle change. I will definitely be recommending this book to anyone wanting to lose weight. The title explains the book well. Each chapter deals with how to cope with different situations in life. Pulling from the three books mentioned in the title and a couple of other books it tells the reader how to deal with tragedy, but also normal, everyday life. The book was easy to read and very informative. My only complaint would be the tiny print. It made reading the book difficult if done for more than a few minutes. Otherwise this is definitely a book I would recommend reading. Denis returns home from work to find a mother cat in a trap. What follows the rescue is a mad dash to the vet to try to save the mother and her kittens. Only one kitten survives and it takes a fight from both kitty and Denis. Kitty earns the name of Toby Jug and soon becomes the author's most beloved companion. I enjoyed this story. It was sweet and heartwarming. There weren't any big surprises and gripping plots, just a feel good story about the love he found for his little friend. It's a story that my son will enjoy as much as I did. Grace and Maggie are best friends with too many irons in the fire. A surprise visitor or two, a romance to help along and parties to plan keep these two ladies hopping. But they will be reminded that God is in control and they can't be the catalyst for everything in town. This is the first book in the series that I read and I'll admit to quite a bit of confusion. There were quite a few characters and stories to try to keep track of. But despite this I loved the story. The writer has the gift of capturing the feelings of love and community and drawing the reader in. I will definitely have to check out the previous books. Stephanie has defiled her family to live the life of her dreams. Helping other people is what she is made for. But sometimes dreams can be difficult to endure and even harder to understand. When Brandon, a movie star, enters the picture, Stephanie isn't quite sure what to do with him. Hearts Unlocked is a novella that fits between books in the Season of Cherryvale novels. It's a bit shorter, but doesn't feel rushed or incomplete. I enjoyed the story and appreciated the Christian aspects in the writing. It felt a bit like YA at times, but this didn't detract from my enjoyment. While this book is sort of part of a series, it can definitely be read as a stand alone. Poppy, a highly intelligent, code-cracker, needs a private place to crack a code. It MIGHT be slightly illegal, hence her need for secrecy. When a friend offers the use of his private island she accepts. But fear of water and talking to new people are just the beginning of her problems when she takes a boat out to this island. I enjoyed this story. It was cute, fun and entertaining. While very predictable, it did have a few angles that were a bit different. It is the second book featuring Poppy's family and I would recommend reading the first. I felt just a bit lost a couple of times when people and situations were mentioned. But this book is definitely stand alone. Many people believe that science and faith are not compatible. If you believe in God than science is a myth and the reverse. Test of Faith shares ten scientists thoughts on how God created science, therefore it is very compatible. I didn't choose this book to review. Science has never been my thing. But since I was sent the book I figured I'd check it out. Science STILL isn't my thing. I could barely make it though the book. It is very well written and easy to understand. My complaint would be only that it bored me to tears. But for the science lover who wants to learn how to link God and science, it will be a great book. I want to apologize to all of the authors who are waiting on a book review from me. Not only has life been super, crazy busy this fall, but my kindle has decided it wants to die. I won't bore you with the details, but it's more likely not to work than work. So again I am sorry and will eventually get to all of my mobi and pdf books. The print books do not require batteries and technology so are being reviewed on schedule as much as possible. Becoming gluten-free can be scary and intimidating. Small Plates begins with a story and beautiful pictures that tell the story of the author and how she came to write the cookbook. By dividing up the book into seasons Goyoaga uses fresh foods that are in season to create healthy, filling meals that just happen to be gluten-free as well. When it comes to food, I'm told that presentation is half of it, and the pictures create a gorgeous presentation. The book is well laid out with a recipe on one side and a picture on the other. I have several friends who are eating gluten-free and I know they would love this book as a gift. Rhoda has an unusual gift. But very few people in her community appreciate her gift and she is feeling trapped and unappreciated. Samuel is trying desperately to save the family apple farm. But family and nature seem to be against him. Perhaps the two of them can combine efforts to save their businesses. I enjoyed this book. There were enough plot twists and character depth to keep the story moving and interesting. This story wasn't just about Rhoda and Samuel. It involved all of their families and is told in such a way that captures the reader's attention. I wanted to know what was going to happen to each one of them. I think my only complaint would be the ending of the story. The book is clearly setting up for book two in the trilogy. It didn't so much end as it just abruptly stopped. I didn't feel that any of the issues were resolved or any of the little life stories completed. I'm sure this will be resolved in the next book, but was a bit frustrating to me. Do you want to build your own home? Make your current home more "green"? Are you confused about structures, tools and basics about architecture? This book has it all. A comprehensive book that covers all of the basics in simple, easy to understand language. There are numerous drawings throughout the book. Each chapter is detailed without leaving the reader overwhelmed. I must be honest - I'm not a builder or an architect. I have almost no idea about anything involving my home. But as I read through this book I was amazed at how much I grasped and how easy it was to understand. It's definitely a technical book, but the concepts explained so thoroughly that I could understand the majority of what I was reading. I also really liked the green element that was added to the basic architecture part of the book. Claire is lost and confused when her husband Greg doesn't return from a business trip. As the months go by she realizes that she may not have know as much about her husband as she thought she did. Is her husband missing or did he choose to disappear? A gripping first chapter and high emotions start this book off on a good foot. The excellent writing continue as the main character searches for her husband. There were places where the story lagged a bit, but overall I felt the story was paced well. The characters were real and engaging. This is definitely a fun and entertaining read. It has a bit of mystery, suspense, and romance. Can't wait to read more by this author. Check out the blog tour for this book and read the other reviews. I received this book free of charge from Red Adept Publishing in exchange for my honest review. Michael needs to find a fake fiance - fast. His family's tradition states that he must marry before his younger sister can marry. She is now engaged and threatening to elope. He turns to the one woman who he knows will not expect him to marry her. She doesn't even like him. But she agrees in exchange for a favor. But in Italy all bets are off and feelings may change. The Marriage Trap is a follow up to the Marriage Bargain although both books are stand alone. I really enjoyed the first book, but I'll have to say that this one is my favorite. The characters were fun and the tension between them was romantic and fit the story well. The strong sense of family made this book sweet and heartwarming. I can't wait to see what Probst does with the third book. I'll definitely be reading it as soon as it comes out. Gaffer's story shell has disappeared. It's Gaffer's birthday and it just won't be the same without his story shell. So little Pibbin needs to find the shell and save the birthday. But complications keep making his mission more difficult. Children will love this story. The cute little characters, simple drawings and smooth flowing story will keep them entertained and engaged. The website on the back of the book allows for more interaction from the readers. My children are almost 4 and 6 years old. Both children, as well as myself, enjoyed the story. My eldest enjoyed looking at the website and learning more about the frogs. As a parent, I enjoyed the message of the story. You can be brave and accomplish big things even if you are small. I received this book free of charge from the author in exchange for my honest review. Part of the title on the book is also "Find and download the best free books, magazines and newspapers for your Kindle, iPhone, iPad or Android" This explains the book very well. It is an amazing resource for finding free books. The book is oversize and easy to understand. It is full of step by step instructions, graphics and pictures to help explain the steps. I learned quite a bit from this small book (only 53 pages) and will definitely be recommending it to anyone who enjoys ebooks. Lola is a geophysicist living in the US. Somadina is a young married woman living in Nigeria. They are brought together by a connection that the rest of us do not comprehend. Being able to talk to someone and experience their emotions while countries away is not the average gift. These two women come together to help each other. Science fiction and fantasy are not my favorite genres. There are few books that can grab me in either of these styles. Since this book was a mixture of both I was a bit skeptical. Also the mention that it was an interactive book threw me a bit. First I never noticed where I was supposed to interact. Perhaps my kindle isn't updated enough or this was left out of my version. The research seemed to be very thorough. The characters were believable and very well written. But I just couldn't connect with the book. Perhaps if the subject matter had been different I might have connected better. If you are a science fiction or fantasy fan, or would love to read about the oil industry, or about Nigeria you will probably really enjoy this book. It just wasn't for me. Kara has always wanted to act. She's been in a few plays and on one reality show, but when the opportunity to have her own show comes up she jumps at the chance. She will be co-hosting with an unknown celebrity and the auditions are for an entire month. Her friends are Christian and she arrives at the audition home to find the home mother is also Christian. It almost feels like God is chasing her. I'd already reviewed the first book in this series so I wanted to check this one out as well. I think I like this one even better. It's definitely a book geared towards teens, but is still entertaining and fun for adults. The Christian message, particularly the message of salvation, are very prominent in this book. This is something that I appreciated, but I can see secular readers not liking it. Definitely a book I would let my daughter read. Annie has been burned by cowboys in her past. So she refuses to fall in love with one. But Dylan needs her help with his horse and she needs the money. It should be easy to do the job and leave without becoming involved with the cowboy. But taking care of her sister and nephew adds complications to the story and before she knows it, Annie is fighting her attraction to a cowboy named Dylan. I really enjoyed this story. It had elements of drama, romance and comedy. The characters were real and the believable. I've read one of the other books in the Big Sky Romance series and this one is the better of the two. I will definitely be going back to read the book that I missed. Rebecca thinks she's in love. She hasn't seen her true love in four years, but that isn't stopping her from going to find him. There are several problems with this scenario though. Rebecca is Amish and her "boyfriend" is not. Rebecca has never traveled before and is determinded to find him alone. Once she reaches the small town where Jesse, the love of her life, was last seen she begins to get in trouble. Nothing can prepare her for life outside of the Amish community, but God is leading her the entire time. I really enjoyed this story. The characters were funny and engaging and it was nice to have a twist to the typical Amish stories. A small spoiler alert - All of the Amish stories I've read so far have a character that is questioning their beliefs, but ends up staying Amish/Mennonite. So it was nice to see a couple of the characters make the decision that they could still be a Christian and not be Amish. It was a very refreshing change for me. Every single day we face the decision to be vulnerable or dare greatly. Brown uses the book as a medium to explain how we can take shame and vulnerability and exchange them for meaning and purpose in our lives. There aren't really any step-by-step instructions so much as a thought process that needs to be changed in the way we think and approach circumstances. The book is going to really fly off the shelves for those who have a need for change in their lives or enjoy reading self-help books. It is a dense book full of information, stories and examples. But for someone who is really needing to hear this message it will be an easy and informative read. Diets don't work. Finding out why you are over weight and changing your patterns works. An entire lifestyle change is necessary for weight loss to last. This is the idea of this book. The authors take several different eating styles that work against us in the weight control issue and address why they are making us over eat, how to get rid of them, and how to effectively change our entire lifestyle to keep the weight from coming back. This certainly isn't a fun, entertaining book. But it's packed with useful information about how to lose the weight and keep it off permanently. While it took me a while to get through the book because it had so much information in it, I was glad that I made the effort. If you've ever dieted and then gained even a portion of the weight back, than this book is for you. If you've never dieted, but would like to lose some weight, this book is also for you. It might seem like a new approach, but it's what we should have been doing all along. Dr. Jacob Wolff is wealthy and reclusive. So when a young actress comes to his office and asks him to be her personal doctor and stand-in boyfriend, he's a bit reluctant to agree. Ariel needs a fake boyfriend. Preferably one who is a doctor. She has something making her ill. If Dr. Wolff is her boyfriend and secretly treating her, no one will realize she's sick and she can continue her job without danger of losing it. It's the perfect plan; or so she thinks. The premise for this story was amusing. The story flowed smoothly enough. But I couldn't relate to any of the characters. Ariel's personality was all across the board and the switches felt abrupt. Jacob was nice enough, but almost too nice. He was boring. This is a fast, light read. But it certainly isn't anything that will grip or enthrall you. Alex and Gwen spend a holiday together. When the holiday ends, they mutually go separate ways. Neither of them are in the market for a serious relationship. But the next time Alex sees her, she's pregnant and says she's taking a man break. The baby might not be Alex's baby, but he's seeing their future and it's making him reconsider his no relationship rule. I could not get into this book. The characters were weak and the plot was non-existent. Predictability is expected in most romance novels. But they don't have to be boring. A writer can pull off weak characters if the plot is intricate and enthralling. A boring plot can be pulled off if the characters are engaging and entertaining. I tried, but just couldn't find any redemptive qualities in either. I hate to write bad reviews, because I know how much time and effort went into getting a book to production. But this book needs a bit more entertainment value before hitting the shelves. Dr. Richard Selznick is a psychologist, nationally certified school psychologist, graduate school professor, university professor of pediatrics and school consultant. The author of two books, The Shut-Down Learner: Helping Your Academically Discouraged Child and the recently published School Struggles: A Guide To Your Shut-Down Learner’s Success, he has presented to parents and educators internationally, as far as Dubai and Abu Dhabi and throughout the United States . A down-to-earth presenter who looks to discuss difficult topics in non-jargon terms, Dr. Selznick tries to present complex issues in down-to earth terms. Dr. Selznick is the Director of the Cooper Learning Center, a Division of the Department of Pediatrics, of Cooper University Hospital. Learning issues in school are a frequent concern for parents, teachers, and students. 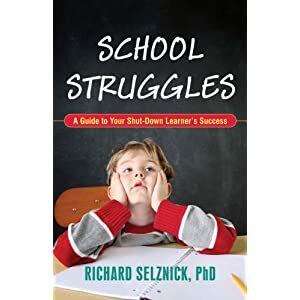 The author of The Shut-Down Learner, takes the reader through the different issues that might be hindering your child scholastically. The section begins with an illustration on the issue at hand (ie: ADHD). There is take-away point that summarizes and then a "try this" section that gives practical advice on how to work with the particular issue. I can definitely see this book being a huge help to a parent or teacher who has a child with one of these issues. Since the author tackles a wide range of issues that include social, organizational and reading this is a book that most parents will benefit from reading. The writing style makes this book easy to read and process, something that is greatly appreciated in an informative book of this nature. MANDATORY QUESTIONS. PLEASE ANSWER ONE OF THE FOLLOWING QUESTIONS TO BE ENTERED INTO THE DRAWING. YOU MUST ALSO BE FOLLOWING THE BLOG TO ENTER. DEADLINE TO ENTER IS SEPTEMBER 18TH. WINNER WILL BE ANNOUNCED ON SEPTEMBER 19TH. PLEASE LEAVE AN EMAIL ADDRESS IN YOUR COMMENT SO WE CAN REACH YOU. 1. Do you have children in school? If so, what grades are they in? is receiving at their school? 3. Do you think children should be bringing homework home with them at night? For an extra entry, please head over to the authors' facebook page (here) and like them. Leave a separate comment on this blog letting us know.